Perhaps you never thought of it, maybe even never heard of it. But canyoning is a great way to get to know hidden spectacular places of our small country that you can never see on foot. 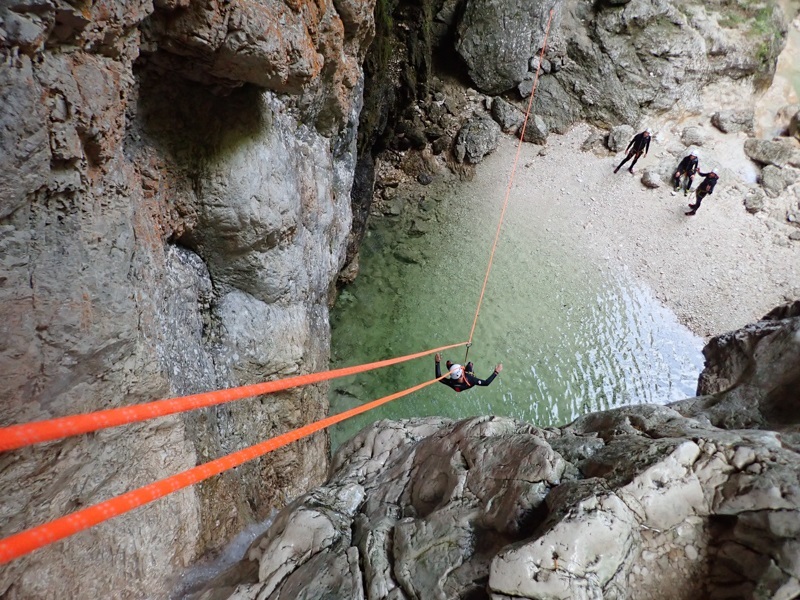 When you choose canyoning in Slovenia, you are one with nature for a few hours, you get different perspective of Slovenian unspoilt nature, and, if you want, you can get your adrenaline level through the roof. At Altitude activities, you can choose between several different canyoning trips, depending in your knowledge, experience, level of adrenaline that you can handle, weather,… We also offer canyoning experiences for families with children, where the whole family can enjoy natural slides and jumps into cold and pure Alpine streams. Already been to loads of canyoning trips? Altitude activities is known for its personal approach and expert guides. We offer canyoning in small groups and always listen to your wishes and desires. We offer a wide choice of canyoning trips and can perhaps even tailor-make a trip for you and your friends. We bet you have never been to night canyoning in Slovenia before. Well, we offer night experience too. Canyoning in Slovenia is a perfect experience you can talk about to your friends when you return home. It is a great mix of sightseeing, observing nature and wildlife, a natural playground for kids of all ages, and an adrenaline booster. 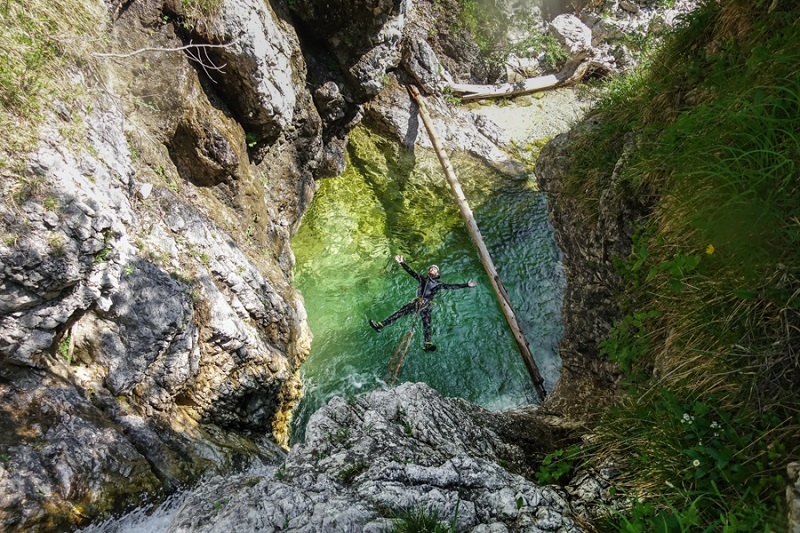 Canyoning in Slovenia has so much to offer, it is safe and perfect wet experience for hot summer days. Canyoning in Slovenia even offers fun on rainy days, as some of the gorges that we visit are safe even during rainfall. If you cannot take the adrenaline anymore, our guides will safely lower you down the white waters with a rope, and if you need more adrenaline, do not worry, we can show you and experience you will never forget.